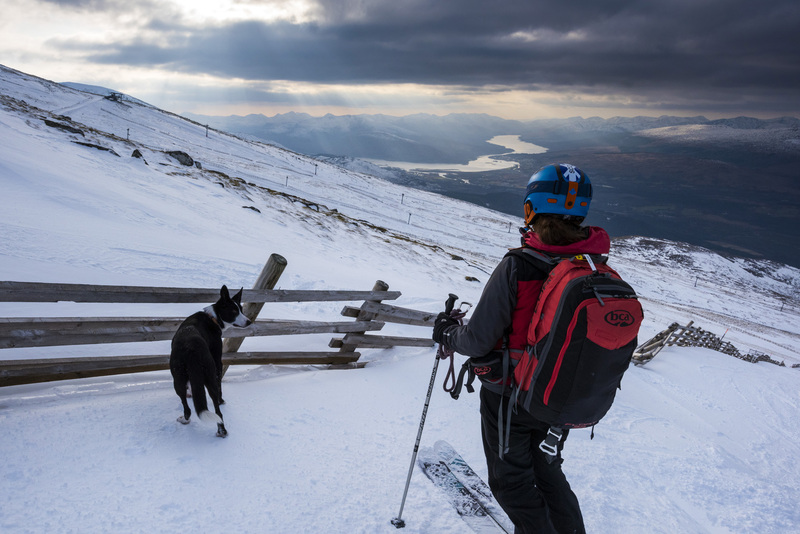 It's intriguing to think what your day might be like as a Scottish ski patroller, working in one of the most uncertain climates in the world on a job that is defined by unpredictability, and trying to beat it to the punch. 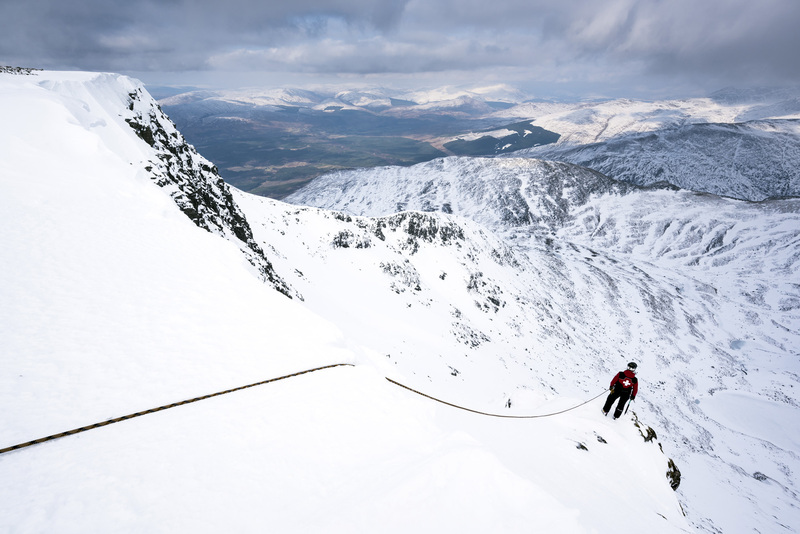 In what has been an unusual winter I haven't skied my local slopes as much as I'd have wanted but whilst I might choose not to go up the hill on the wet and windy days, this is a photo-story of a crew who are up the hill everyday that Nevis Range is open, come blizzard or bluebird. When we go skiing there is a metaphorical safety net which is weaved by this crew before we set foot on a gondola, and just as it went up before we arrived it is taken down when we're gone. 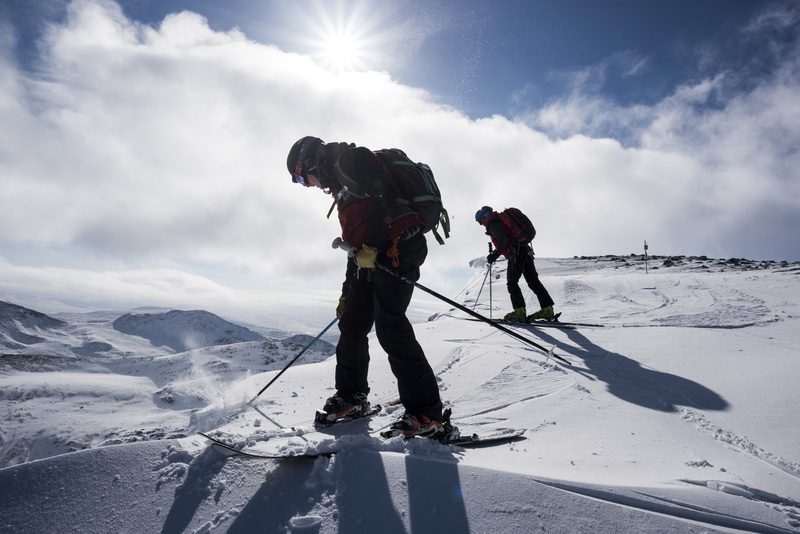 This was a calm day with opportunity for the team to train around their patrols and take time advising skiers about conditions over the back, but often there's a curveball with no two days being the same. To say it's a job is perhaps to understate the commitment and energy required. 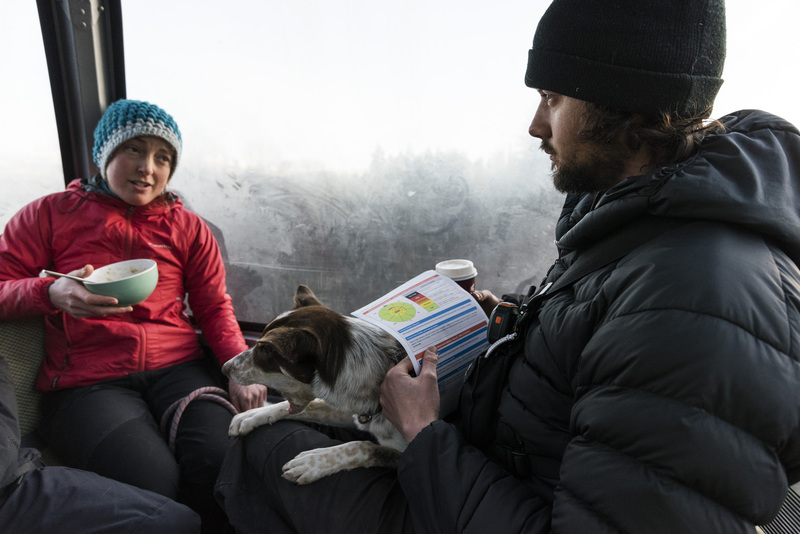 Breakfast and coffee on the gondola at 07:30 whilst looking over the latest weather and avalanche forecasts. 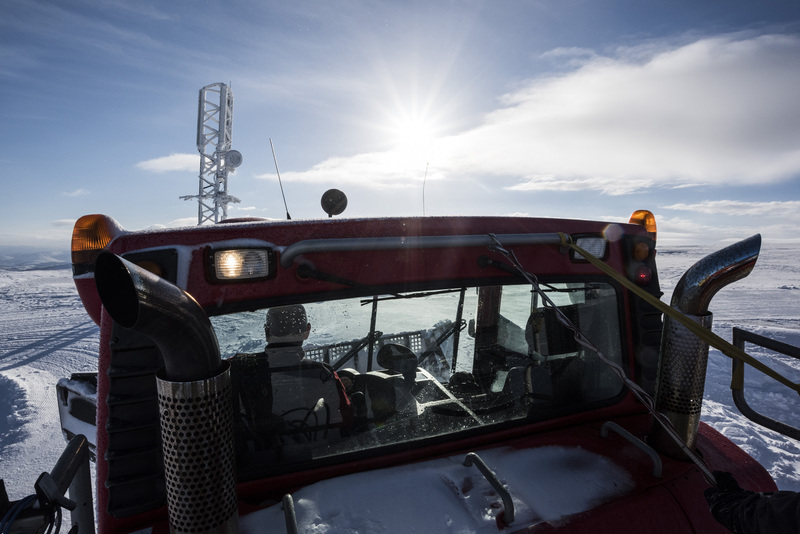 Clipped on the back of a 500hp Pistenbully piste basher to get lifted to the Patrol Hut at the top of the ski zone. 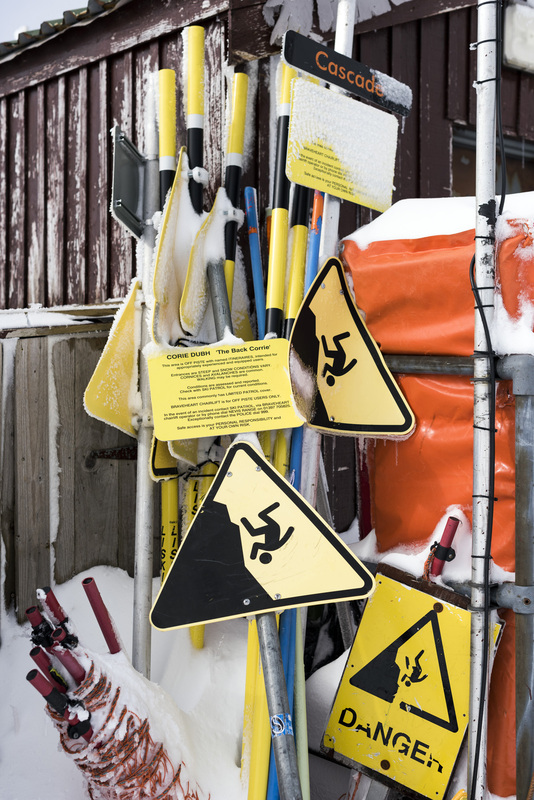 Signage for every kind of hazard. 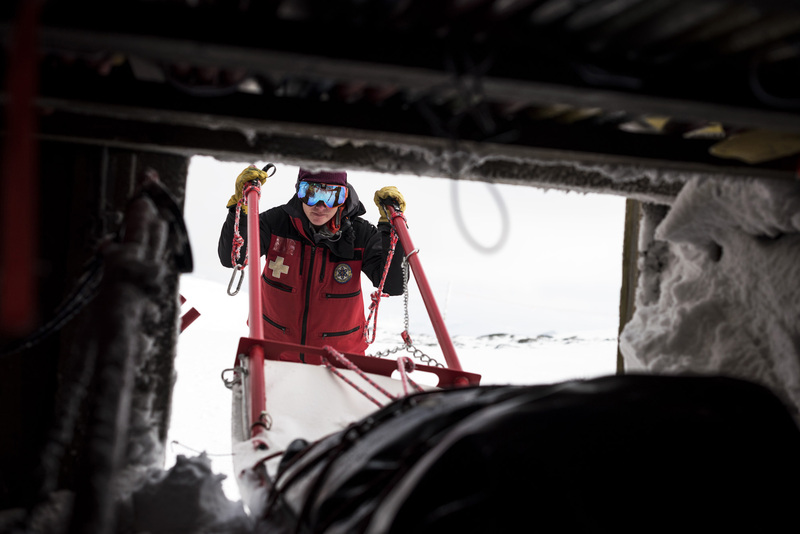 At the patrol hut, sleds with a variety of vacuum pack braces are readied. Jeff a.k.a The Boss. 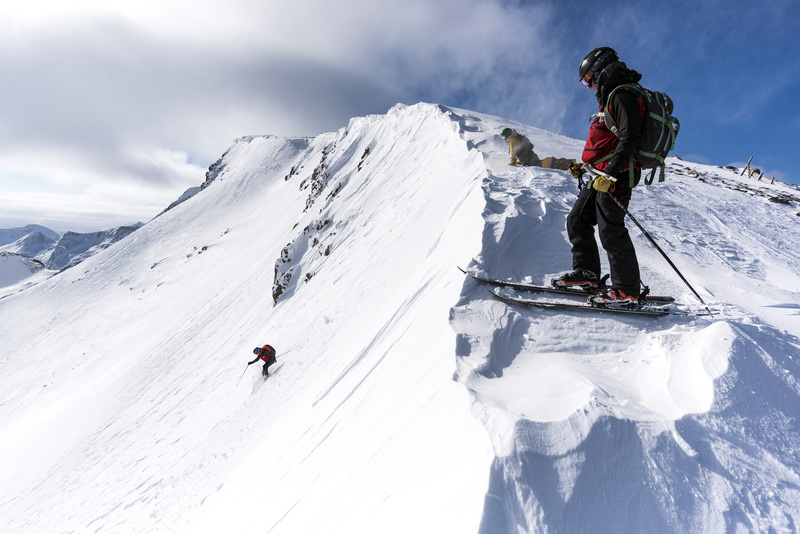 Pole whacking and checking the drop-ins to back corrie zones. One of the perks of the job... fresh snow and first tracks over the back. Some rope work & training, Jeff lowered with a good view of conditions on the climbing routes and run-out. Will, holding the fort at the patrol hut. 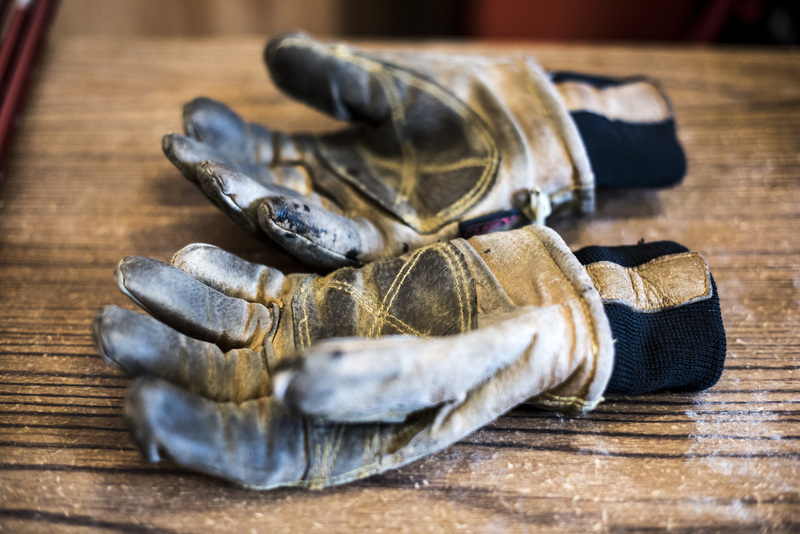 It's not all easy work, a tough pair of leather gloves essential. 7 month old Jura patrol, a search and rescue dog in training. 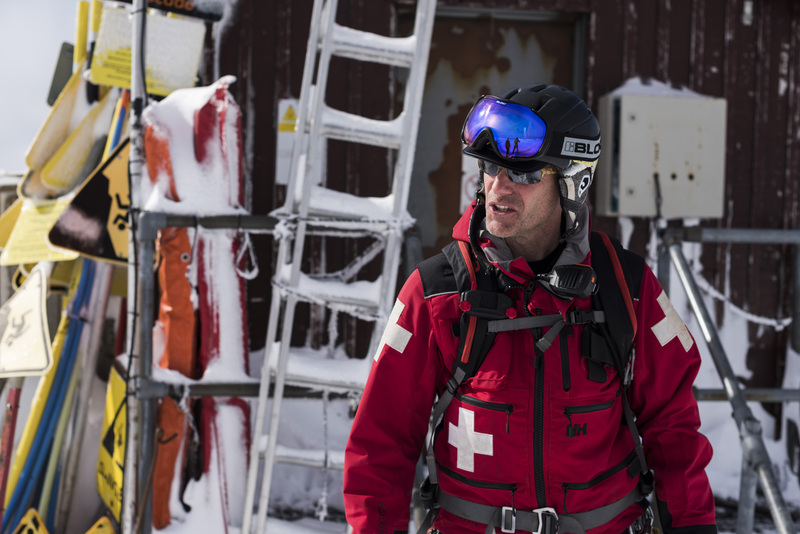 Sharing information with skiers and mountain guides keeps stretchers and rescue gear at bay. 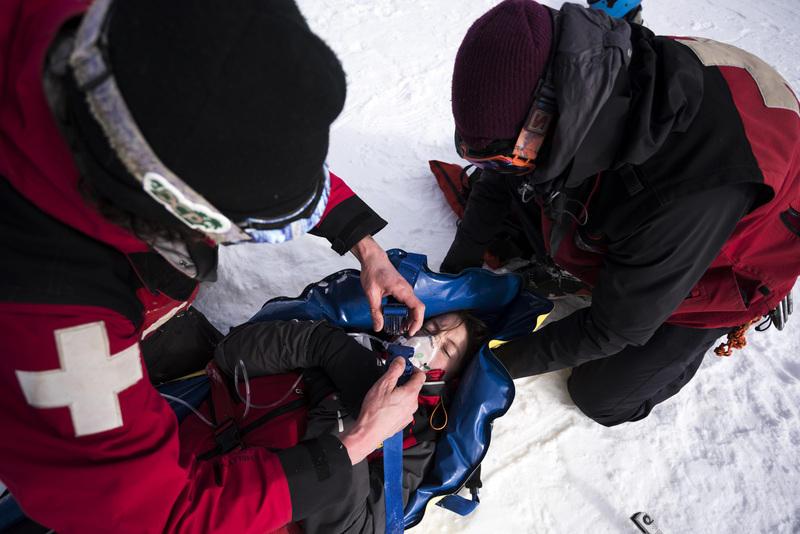 Medivac practice for immobilising and getting injured skiers off the hill. 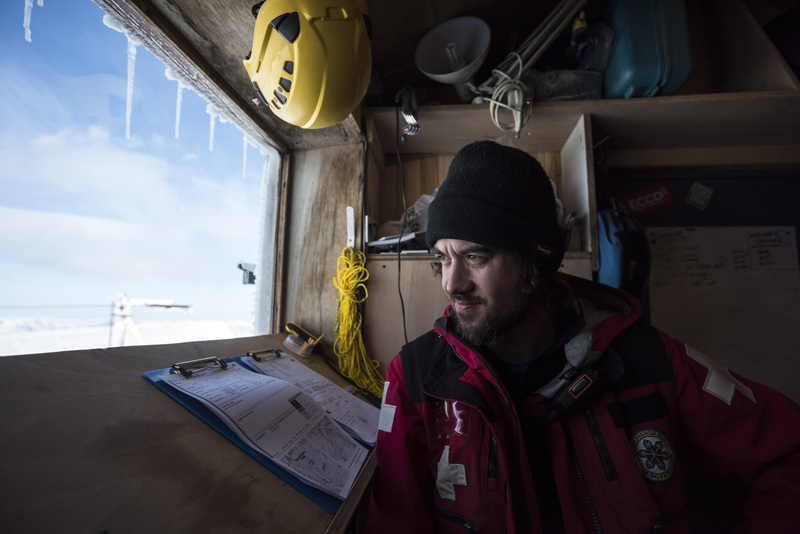 Enjoying some clear weather and views outside of the patrol hut. Sweep patrol at the end of the day. The epic days that make the tough days worth it! 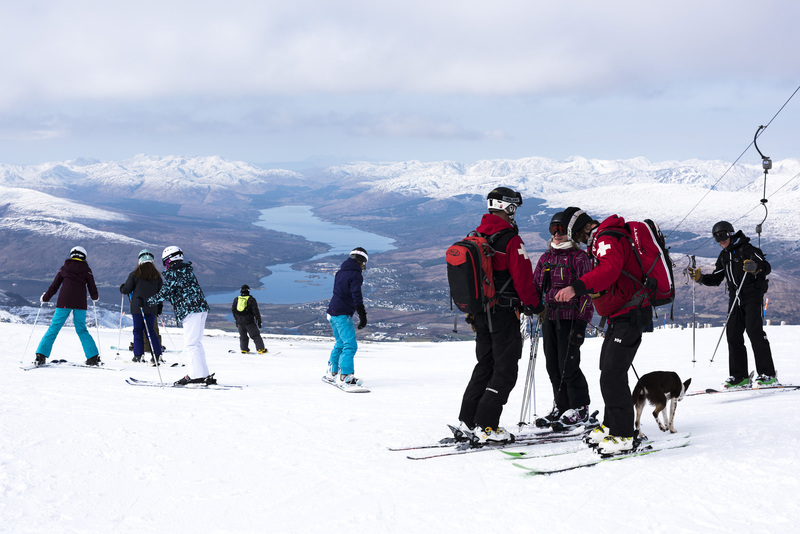 Many thanks to the Ski Patrol team at Nevis Range. 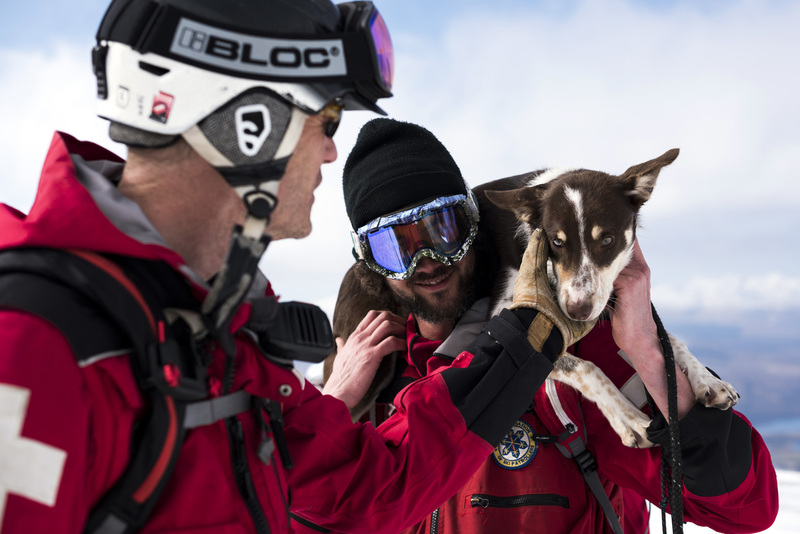 Jeff, Will, Emma, Ben, Inver Patrol and Jura Patrol. All images Copyright Ed Smith. Moral Rights asserted.